Every year, I say that this is the “best Christmas ever.” And every year, it’s true. Including and especially this year. 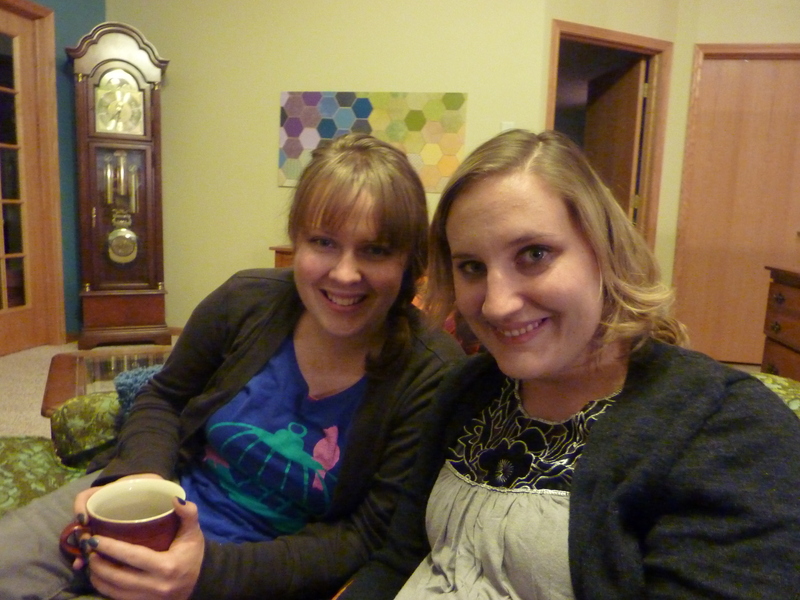 We began our celebration on Christmas Eve at my parents’ house. It was a little different to drive a half an hour to get to my stocking, rather than just running down the stairs, but it was still wonderful. This year, my stocking had 2 of everything in it! Unfortunately, it was not all for me; I had to share with my husband. We then devoured the traditional “monkey bread” breakfast, and when the barn chores were finished (not by me :)), we sat down to the business of opening gifts. Here’s this year’s tree, complete with “knitted sock garland” from my dad’s antique sock knitting machine (he makes these socks out of wool from our sheep). I was thrilled to receive a ton of tools, the Young House Love book, earrings, a scarf, a hat, and much much more. It was awesome. The rest of the day was filled with game playing and food. My new favorite game? Set. It’s incredibly hard and I’m horrible at it but I love it. The only problem was that it wasn’t gifted to me personally, so I had to leave it behind at the end of the day…but it’ll go on next year’s Christmas list. We left around 8 and headed to our apartment, and both Kenny and I came to the conclusion that we’d rather open our gifts to each other then and be able to sleep in on Christmas day…since we were going to hit up the 11pm candlelight service at our church. My gift highlights: a new sleeping bag, camping cookware, watercolor paints, and a gorgeous blazer. Ken has good taste. I insisted on photos. Ken begrudgingly complied. It was a good thing I buttered him up first with all those gifts. This year, I wrapped a bunch of our gifts in plain brown kraft paper, partly because it was very cheap, partly because we ran out of wrapping paper, and partly because it’s the trendy thing to do. I also took the initiative to sharpie on some bows and tags, and was SO EXCITED when Kenny wrapped a gift for me in a similar manner. This guy knows the way to my heart. After sleeping in on Christmas day (the candlelight service wore us out! 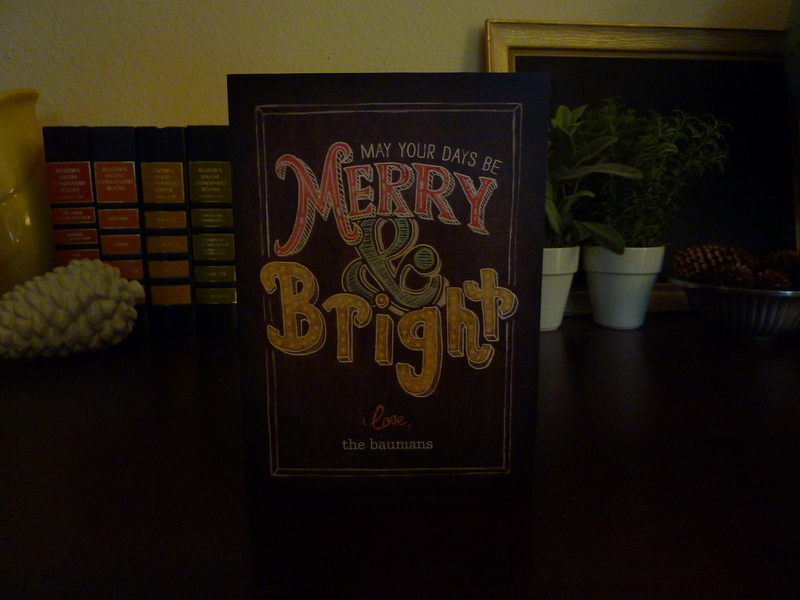 ), we headed to his parents’ house for gifts with his immediate family and then extended family. If this picture could be animated, you could see our feet practically wriggling with excitement. My gift highlights: giving away photo books of our wedding and receiving a rain coat, new purse, and additional dishes (yay!). Kenny basically got an entire new wardrobe of Ralph Lauren clothes and Sperry’s shoes. He was pleased. In summary: it was pretty wonderful. And I’ll say this for the gajillionth time too: we are so blessed. Categories: Christmas, Deep Thoughts | Tags: Christmas, joy | Permalink. I have some very special friends. 1. I’ll just get this one out of the way first: we are all drop-dead gorgeous (just stating the obvious, here). 2. We are all have impeccable taste and incredible talent, as you will soon come to find out. 3. We all have VERY VERY fond memories of one special place called Camp Geneva. Somehow we don’t really remember the exhaustion, bodily fluids, and homesick campers much any more. Although we do have some pretty great stories on those topics. We began a tradition a few years ago of having a Christmas craft party, done secret Santa style. We give ourselves a limit of $10 and craft our hearts out for our assigned person and then bring our wrapped creations to one wonderful get-together. Sidenote: Do you SEE that hexagon art on the wall in this picture? Yes. My friend Beth made it. Told you I have talented friends. Before we dive into the crafty goodness, though, there is much catching up and eating to be done. This year we went “healthy” with a baked-potato bar and salad. Oh, and French bread and chocolate chip cookies and mini caramel/chocolate cheesecakes with pretzel crusts, so I guess we can’t quite get the hang of healthy yet. Nor do we really want to. The craft party is a time for much food, fun, and fellowship. After about 3 hours of eating and talking, we got down to the business of opening the gifts. 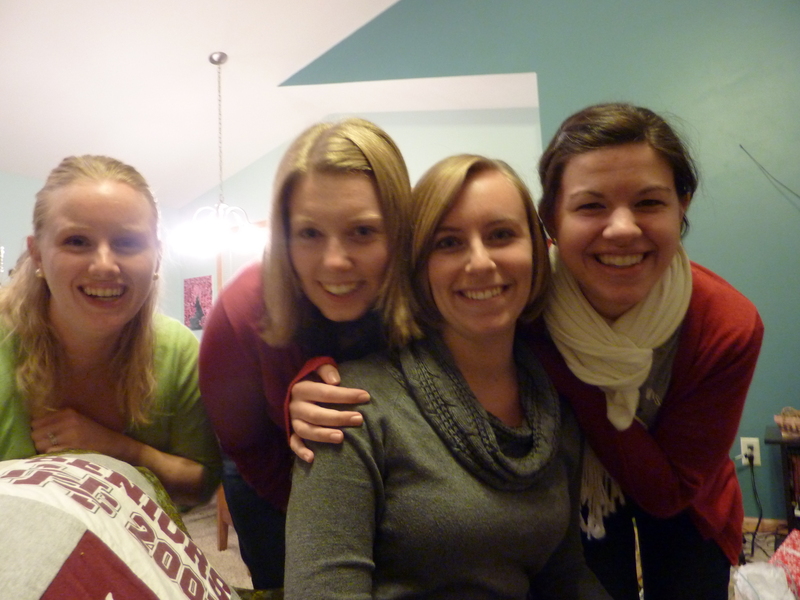 This year we recorded the whole gifting part of the party for our missionary friend Emily. She is one of the moms right now to a whole bunch of abandoned/orphaned babies in South Africa and was very missed. She really loved seeing us do this via video and it is a pretty great memory for the rest of us to have forever. Here you can see a smidgen of the crafting genius of this group of girls. Please allow me to break it down for you: on the left, there is a super cute last-name sign for hanging on the wall. That’s my wrist in the picture, along with some homemade honeysuckle orange laundry detergent, a knitted (crocheted?) headband (I am ashamed that I cannot tell the difference), and a corner of a photo-transferred canvas (of a picture taken at our wedding, incidentally! Recognize that lighting?). 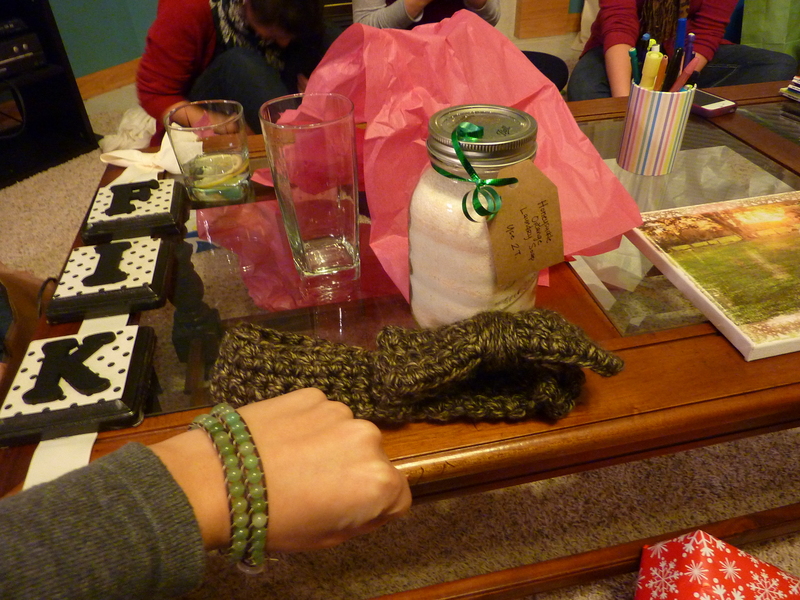 Other gifts included infinity scarves (a popular craft this year! ), granola, dryer balls, a candle holder, a wreath, one of those frame earring holder things (I desperately need one), and more that I’m probably forgetting. I’m intentionally remaining a bit silent on the gift I created, because I may have created its identical twin that still remains to be gifted. More details on that to come, however. Don’t despair. I know I say this all the time, but I really am so blessed. I could probably not function without this group of girls and would probably decide to never emerge from my bed if they did not exist. Kenny can back me up on this–this group is my therapy for getting through life. 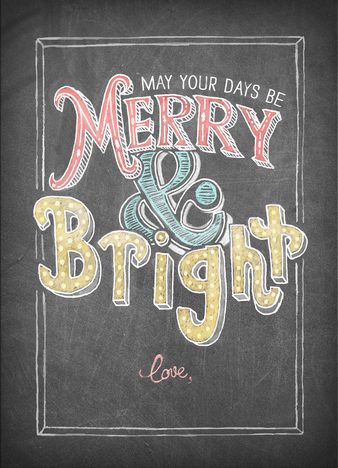 Categories: Christmas, DIY, Shenanigans | Tags: Christmas, Craft, friends, gift, party, secret santa | Permalink. My law-student husband “has” to go to class an hour away 2 days a week. Apparently they encourage attendance in law school too. And on Thursday nights, he usually doesn’t get home until 9:00ish. Anyway, we’ll begin from the time when I leave work…after lingering for 10-15 extra minutes just because I know 4.5 hours is a lot of time to kill. But then I can’t take it anymore and jet on out. I grab a handful of cookies before I leave for some added sustenance for the hours ahead. I head to uh, an unnamed location to pick up a Christmas present for Ken. While I am there, the nice salesman and the great deals lure me in and I purchase 2 more unplanned gifts. (At least there are rebates for them!). Impulse purchases are VERY unheard of for me, but I guess I just got a wild hair or something. I next head to Meijer, where I work at redeeming a ton of coupons for free stuff. I make the mistake of picking up a 2-liter of Pepsi early on into the trip, and my arm gets tired of lugging the basketful of very heavy groceries, but I surf the clearance racks anyway. Including the kids bikes. Even though I don’t know of anyone who needs a bike, especially one from Meijer. Clearance shopping unfruitful, I take one last lap around the store and head to the check-out. SUCCESS: I spend less than $3 for $11 worth of groceries, including some needed cheese. Next I amble on over (but in my car) to Target, where I do the whole “surf the clearance rack” thing all over again. And again don’t really buy anything, though I do grab some gorgeous napkins I’ve been eyeing and some coffee creamer for a friend. And spend $.20 total. I then text said friend re: dropping off the coffee creamer with the hopes of interacting with another human tonight. She’s not at home, so I head to Home Depot because I have a coupon I’ve been trying to spend since BEFORE HALLOWEEN. It’s for $5 off anything in the lawn and garden part of the store, which is perhaps the most boring part of that place. And besides, I’ve already been to HD about 4 times in the past month trying to spend the same coupon but I’m STILL surprised when there is nothing really new. After contemplating an axe or machete for a Christmas gift for Kenny (bad idea, I know), I settle on two small succulents to replant my succulent terrarium oh, say, the fourth time? I only spend $.72 though, so my bad gardening skills have yet to put a large dent in the budget. I set them on the backseat of the car and say a little prayer that they’ll be okay on the ride home, not even noticing the conveniently located cup holders, which would have worked perfectly for transporting these guys. I then realize that I’ve created a WHOLE bunch of work for myself. I not only have to wrap the 3! gifts I got for Kenny before he gets home (after cutting out the UPCs for the rebate…is that tacky? ), but I also have to plant these dear little succulents. I zoom onto the highway with then intention of heading straight home. It’s around 7pm at this point, so can we just pause and ponder the fact that I spent the last 2.5 hours in 4 stores? I’m a master at wasting time. Oh, but then I remember that the thrift store that is right on the way home is open late on Thursdays in December, so I get lured in to that too. I consider purchasing several things, but in the end leave emptyhanded after lingering awhile. I finally arrive home and have to make 3! trips to get everything I’ve accumulated over the day inside. Luckily, I get the closest parking spot, so it’s not horrible. But I do have to clean dirt out of the back seat, because surprise! the succulents had the nerve to tip over and roll around a bit. I check the mail on my last trip in to the apartment and am pleasantly surprised to find an unexpected package. I open it to find this little guy, which I ordered for free from a recent Hip2Save/Zulily deal. I had intended to give this as a gift to someone for Christmas, but selfishness won over and I’m totally going to keep this planner for myself. Not really enjoying the fact that I can’t see my counters, I buckle down and unload all of the groceries and then get really excited about replanting the terrarium. Halfway through the replantage with my hands covered in dirt, I realize I’m still dressed to the nines in my work clothes but there is no stopping me for that minor inconvenience of changing my clothes. Gardening in work clothes it is. Oh, yes, I did wear striped socks to work. No one sees my socks, so that’s fine, right? I make short work of the terrarium and admire it for a few seconds before clean up the dirt and drop the spoon I used as a shovel into the dishwasher (eh, shouldn’t have admitted that on the internet). I then change into my nightly uniform of yoga pants and remember that I wanted to turn on some Christmas music the moment I got home. Better late than never, right? I next tackle the wrapping of Christmas gifts. I get distracted halfway through by the internet, but when Kenny calls to say he’s on his way home, I leap into action once again. I also realize I’ve eaten nothing for dinner, so I snag another cookie and put it off for a little bit longer. I’m in the wrapping ZONE and get about 7 gifts wrapped. But then I realize that the apartment is a disaster and that Kenny will be home in about 15 minutes. I make haste to tidy up the bathroom (still messy from the morning) and wrapping zone, and then I quickly make the bed so I’ll look like an awesome wife when he gets home. I finish cleaning in about 7 minutes, so I have a few spare seconds to read, but I run into a dilemma. Do I continue the juvenile science fiction book I’ve begun (Ender’s Shadow)? or do I switch to something more…socially acceptable, like Godric by Buechner? I obviously settle on sci-fi, because, well, Godric is written in iambic pentameter, and you can’t just start a book like that with only 5 minutes to devote to reading it. As I lie in bed, I contemplate how awesome it would be to have a cat to keep me company during these long, lonely evenings. Right, Ken? Right? If someone wants to back me up on this one, that would be great. Oh, and if you want to reassure me that my Thursday night actions are not that of a crazy person, I’d accept that too. Categories: Great Deals, Shenanigans | Tags: Christmas, Ender's Shadow, Godric, Home Depot, i need a cat, Meijer, schedule, Succulent plant, terrarium, Thursday | Permalink.